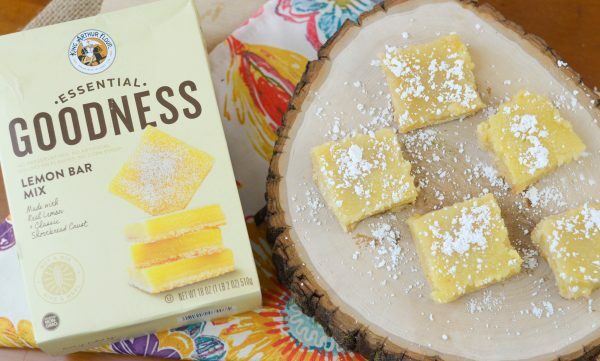 Enjoy a beautiful fall day with friends and snack on Old Fashioned Lemon Bars. 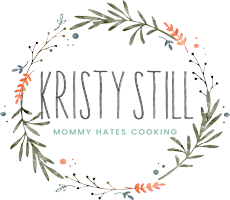 This post is written in partnership with King Arthur Flour, all thoughts and opinions are my own. Something about fall makes me want to spend time with friends and family, does it for you? I guess really I spend time with them year round but I love to have guests over to our home in the fall. It’s so beautiful and the air is so crisp. It’s perfect for sitting around a bonfire or just sitting outside in the morning with a nice cup of coffee. 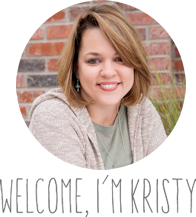 Last year, I even thought about starting a little morning ‘moms’ group at our home where friends could stop in for a cup of coffee and a little tasty treat. 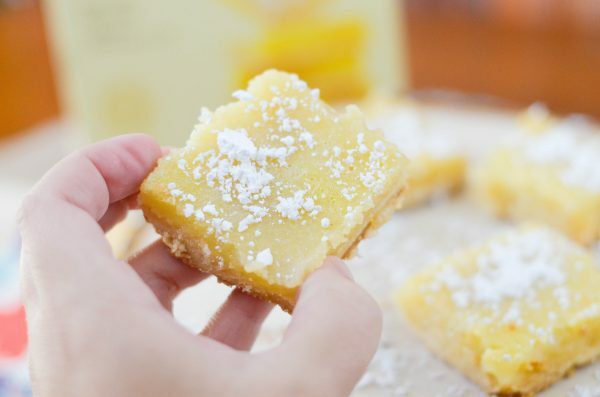 I have been contemplating starting this again and these Lemon Bars would definitely be the perfect choice for our treat for the event. I think it may be good to start next year when my daughter is in school each day too. I love coming home to a quiet house, turning on music and baking. 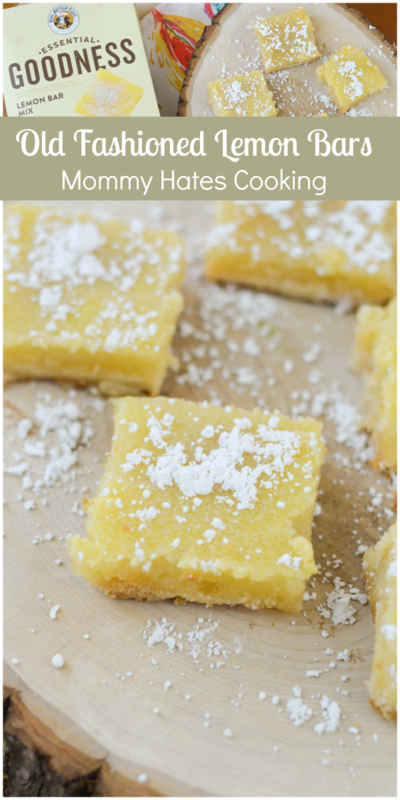 I did just that when I made these Lemon Bars; of course it would be nice to share those goodies with friends. 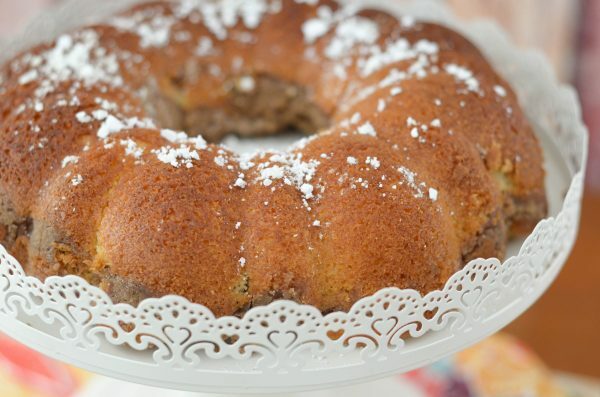 King Arthur Flour recently introduced their line of Essential Goodness Mixes. These mixes come in several varieties; my kid’s favorite is the Chocolate Chip Cookies…of course! We have now tried just about every single one of them and each one gets rave reviews. These mixes have simple ingredients that you can trust. 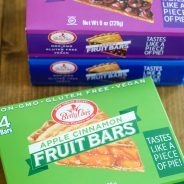 The mixes are Non-GMO with no preservatives, no oils or artificial colors, and they even use kosher salt. That means they are the best choice for you too and because King Arthur Flour has partnered with Feeding America, each purchase gives back. 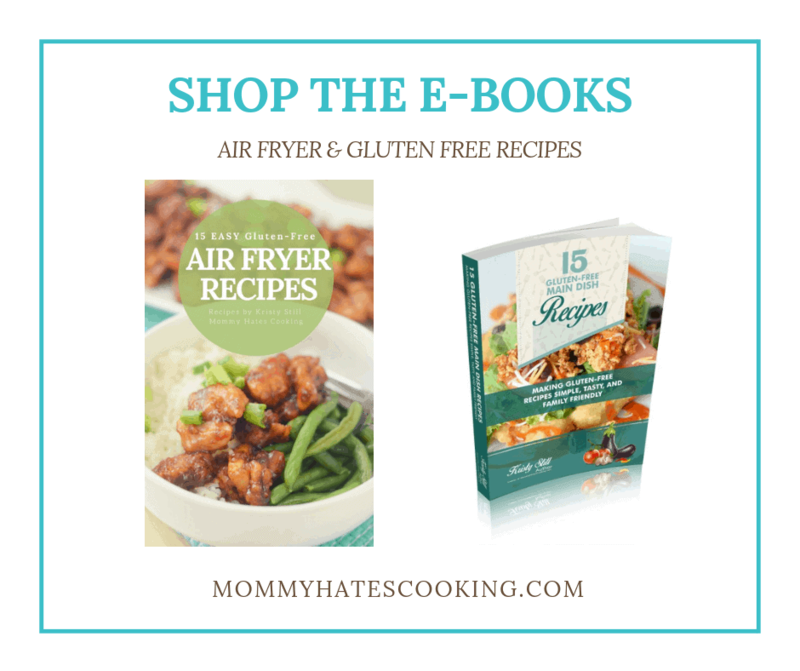 For each mix purchased King Arthur Flour donates the cost of a meal. 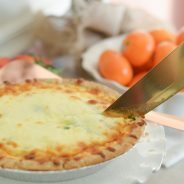 Now, the thing I love about their mixes is all you need are a few extra ingredients like water, eggs, and butter – ingredients that you would likely have on hand. That means that everything else is in the bag and ready to go for you! One tip: as I made these, I realized that it’s best to use parchment paper to cover the pan so that you can easily remove them. It’s much like making brownies, it took just about an hour to make them; however, they will also need to cool for at least an hour in the fridge before serving. 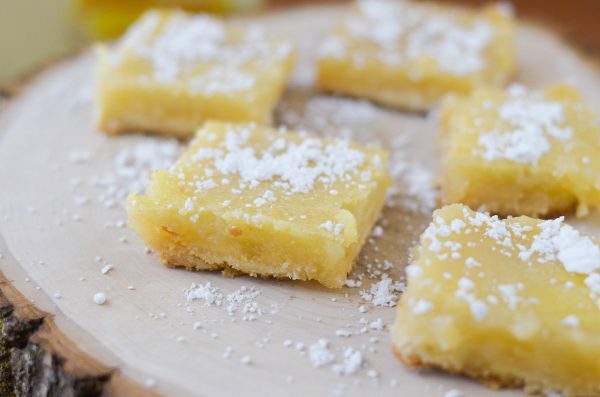 If you are ready for a delicious buttery crust with a sweet lemon filling, then you must try these Old Fashioned Lemon Bars. 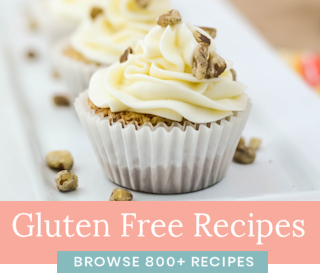 I would even add the Sour Cream Coffeecake to your brunch as well; these mixes are just too good not to try them all! It’s time to eat up! 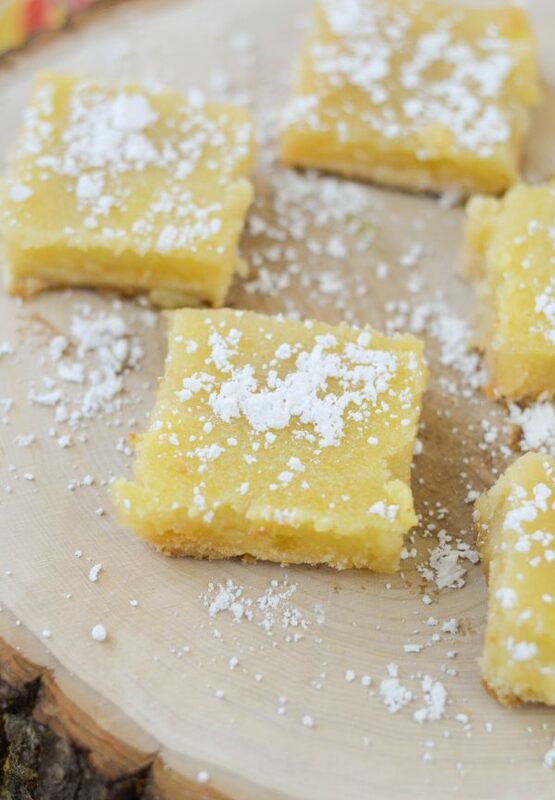 Lemon Bars are my absolutely weakness!! They’re so delicious…I’m pretty sure I could have one with every meal and never tire of them. 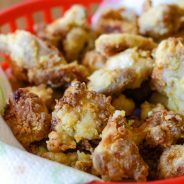 Your recipe looks so good!